The youngest Modena balsamic vinegar of the line, it is produced entirely from a selection of organically grown, biodynamic grapes from the Guerzoni vineyards exclusively located in Modena. 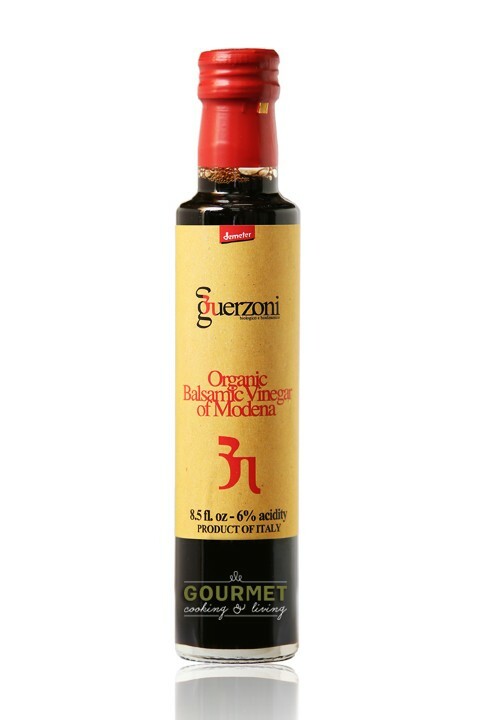 Produced from a skillful blend of cooked must, the wine vinegar contains no preservatives or food coloring and is refined in oak barrels. With its intense fragrance and pungent flavor with a sweet, slightly astringent note, it is ideal for everyday use. Buy 2 for $10.40 each and save 6% . Buy 3 for $9.30 each and save 16% . Buy 6 for $8.75 each and save 21% .